You can use AFerry to book a TurboJET ferry around China between the regions of Hong Kong and Macau. 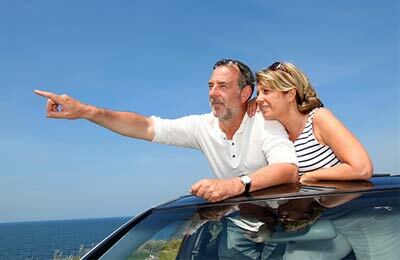 TurboJET offers the ultimate travel experience for each and every passenger. AFerry always has the latest deals and offers on TurboJET ferries. 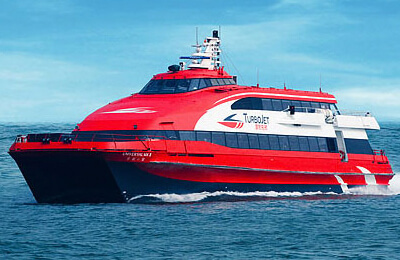 You can use AFerry to book TurboJET ferries to the ports of Hong Kong, Kowloon and Macau. For all TurboJET ferry routes with the latest prices and sailing times see below. Click on your ferry route for a detailed timetable with arrival and departure times. 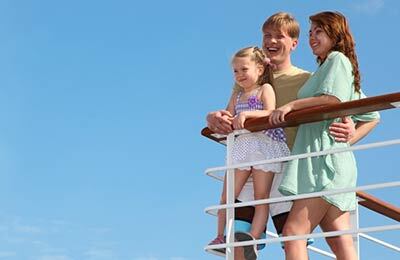 On board with TurboJet you will find modern and spacious facilities. Each cabin is well-equipped with audio and visual systems, and around the vessel you can find a selection of food, beverage and duty-free goods to choose from. TurboJET has a strong fleet of high speed ships, including TriCat vessels designed and manufactured right here in the UK. TurboJet is the first company to provide round the clock jetfoil services and has over 50 years shipping experience. How long before departure should I arrive for TurboJET?